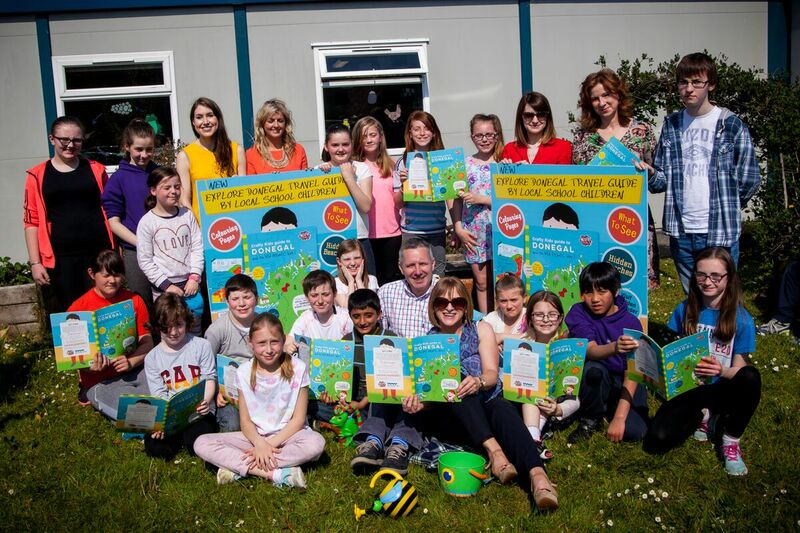 Inishowen children from schools around the Peninsula took part in providing creative artwork, poems and personal experiences as part of the content for a brand new guide to Donegal and its Wild Atlantic Way. It has just been launched in time for a summer of family fun exploring the county. Crafty Kids is a local arts, craft and toy store in Letterkenny. 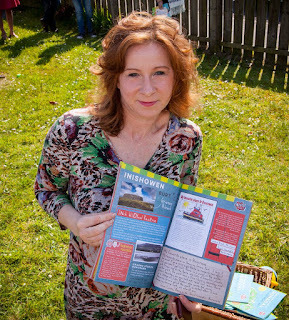 Evelyn Mc Marketing created the idea and invited the schoolchildren throughout the county to help produce a unique and original guide to what's great about the county and it’s Wild Atlantic Way. 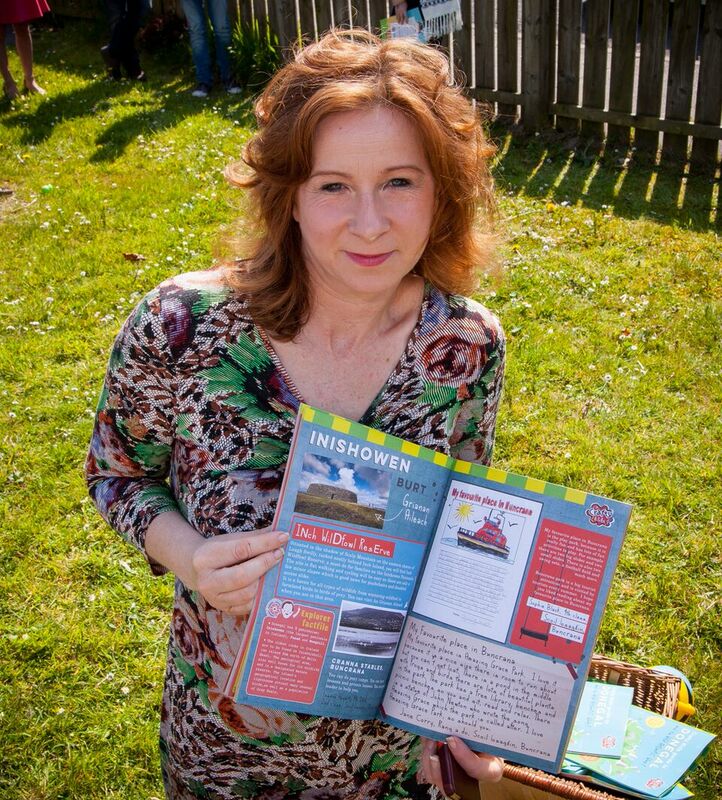 The project was supported by Failte Ireland and designed with a colourful child friendly approach by Ruth Graham. The book includes a fun activity and colouring section, quizzes, and puzzles. The children's guide, challenges the local and visitor to experience Donegal as the locals know it. Tourism Development Officer, Heidi Woods took part in collating the fantastic pieces of work from the Inishowen Peninsula. 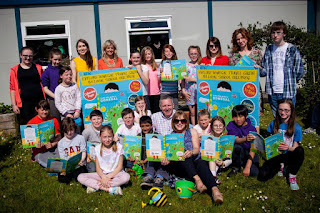 This bodes well with education and tourism and she stated “it was a pleasure to help with this project; Evelyn has worked hard to produce the first workbook for children on the Wild Atlantic Way and its here in Donegal. I contacted the heads of schools with a view to promoting our beautiful Inishowen from their perspective for those children visiting from other areas of the country or indeed overseas”. Highlights of the book include; a visit to “The Pool of Tranquillity” a lake with a secret lower lake 50 metres below, discover 20 sandy beaches only the locals know about, read local kid tested tips on where to visit in the county and budget your family spending money by finding out all the FREE family fun things you can do on your travels throughout Donegal and its Wild Atlantic Way.